In a speech last week at the UN, Marc Lamont Hill issued a passionate call for action to achieve justice in Palestine. We reprint his address here in full. Mr Secretary General, chairman, ambassadors, and your excellencies — good afternoon. It is with great honor and humility that I accept the opportunity to speak before you. As a scholar, as an activist, and as a citizen, I am profoundly interested in the plight of the Palestinian people as well as the broader ethical, moral, and political implications of their struggle for freedom and justice, as well as equality. As such, this annual convening represents a critical intervention. It also represents a site of possibility. On the other hand, it shows considerable irony. As you well know, this year marks the seventieth anniversary of the Universal Declaration of Human Rights. This declaration was produced out of the rubble and contradictions of World War II, and it was intended to offer a clear ethical and moral outline of the basic rights and freedoms to which all human beings, irrespective of race, religion, class, gender, or geography, are entitled. This declaration, of course, has been far from perfect, both in design and in execution. Too often we have framed human rights through the lens of the West. We viewed it through the gaze of colonialism, and we have assessed them through the limited prism of our own experiences. Simply put, the powerful have too often attempted to universalize their own particular and local values. Still, the Universal Declaration of Human Rights has offered us a flawed but functional starting point from which to articulate basic moral and ethical ambitions as global citizens. These ambitions have been particularly helpful when attempting to keep track of the vulnerable against the backdrop of imperialism, exploitative economic arrangements, white supremacy, patriarchy, and all the other entanglements of the modern nation state. For this reason, it is indeed ironic and sad that this year also marks the seventieth anniversary of the Nakba, the great catastrophe in May 1948 that resulted in the expulsion, murder, and to date permanent dislocation of more than a million Palestinians. For every minute that the global community has articulated a clear and lucid framework for human rights, the Palestinian people have been deprived of the most fundamental of them. While the Universal Declaration of Human Rights says that all people are “born free and equal in dignity and rights,” the Israeli nation state continues to restrict freedom and undermine equality for Palestinian citizens of Israel, as well as those in the West Bank and Gaza. At the current moment, there are more than sixty Israeli laws that deny Palestinians access to full citizenship rights simply because they’re not Jewish. From housing to education to family reunification, it is clear that any freedoms naturally endowed to all human beings are actively being stripped away from Palestinians through Israeli statecraft. While human rights promise the right to life, liberty, and security of person, Palestinians continue to live under the threat of random violence by Israeli military and police: disproportionate violence within the West Bank and Gaza, unprompted violence in the face of peaceful protest, and misdirected violence by an Israeli state that systematically fails to distinguish between civilians and combatants. While the Universal Declaration of Human Rights protects us against torture and cruel and inhuman or degrading treatment or punishment, Palestinians continue to be physically and psychologically tortured by the Israeli criminal justice system — a term I can only use with irony. As human rights groups around the world have noted, the use of solitary confinement constitutes a clear and indisputable form of torture, yet in the West Bank, Palestinians are routinely subjected to solitary confinement and indefinite detention — often without any formal charges being filed. Last year, the Israeli Supreme Court ruled that physical torture in “exceptional cases,” including ticking time bomb situations, constitutes acceptable means by which to engage in torture. Although these exceptions are themselves a violation of the absolute human right not to be tortured, Israeli security operates in practice in such a way that nearly all Palestinian cases are viewed as exceptional. Nearly every Palestinian is understood to be a potential terrorist, thereby making them susceptible to ticking time bomb investigation tactics at all times. As such, Israel’s practices are routinely in clear violation of the UN’s convention on torture, which was signed by Israel in 1986 and ratified in 1991. While the Declaration of Human Rights insists that no one be subjected to arbitrary arrest, detention, or exile, Palestinians are routinely denied due process of law. West Bank Palestinians are regularly placed under administrative detention, a framework that allows them to be incarcerated for up to six months and can be extended after judicial review without being charged with a crime. The only thing needed for such outcomes is the ambiguous claim of a security threat, a claim used by the Israeli state at all times, at all costs, and for all reasons. Through this vagueness, Palestinians are routinely punished for their political views rather than any actual threat of violence. The Declaration of Human Rights insists that all humans are entitled to a “fair and public hearing by an impartial tribunal.” Israeli military courts — the exclusive adjudicator, largely, for West Bank residents, and in some cases Palestinian citizens of Israel — have a conviction rate of more than 99 percent. That suggests that Palestinians are either more guilty than any other group in human history, or that the Israeli government is unwilling or incapable of offering fair and impartial trials for Palestinians. The Declaration of Human Rights promises the right to freedom of movement and residence within the borders of each state, as well as the right to leave any country including “his [sic] own” and to return to said country. It is impossible to travel throughout historic Palestine and not see the blatant restriction of movement between cities in the occupied Palestinian territories as well as inside the state of Israel. Standing checkpoints, temporary or flying checkpoints, annexation walls, and other security barriers prevent Palestinians from moving freely both within areas legally designated by the Israeli government and cosigned by the Palestinian Authority under the terms of Oslo. But also we see in Gaza the restriction of movement that is so severe that it literally defines life in the area. I promise you that I will not exhaust all of my time by enumerating every human rights violation perpetrated by the Israeli government. These are well-known and have been well-documented by every credible human rights organization in the world. Rather, I would like to speak to you about the urgency of the current moment. As we speak, the conditions on the ground for Palestinian people are worsening. In recent decades, the Israeli government has moved further and further to the right, normalizing settler colonialism and its accompanying logics of denial, destruction, displacement, and death. Despite international condemnation, settlement expansion has continued. At the same time, home demolitions and state-enforced displacement continue to uproot Palestinian communities. 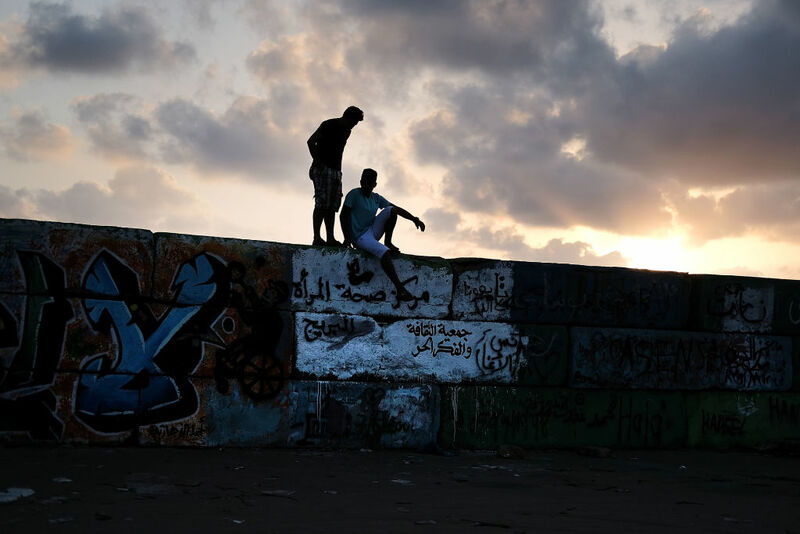 For Gazans, the eleven-year Israeli (and Egyptian) blockade by land, air, and sea has created the largest open-air prison in the world. With only 4 percent potable water, electricity access that is limited to four hours per day, 50 percent unemployment, and the looming threat of Israeli bombs, Gaza continues to constitute one of the most pressing humanitarian crises of the current moment. In the West Bank, conditions are not much better. Unemployment is generally around 18 percent, with frequent loss of income due to Israeli military closures, making it impossible for Palestinian workers to get access to jobs. Settlements and the extra land allocated for them, as well as closed military zones and other restrictions, make it impossible for Palestinian towns to grow. And in the midst of it all, Prime Minister Netanyahu’s administration has become increasingly indifferent to critique, censure, or even scorn from the international community for its practices. Perhaps the most glaring example of this indifference as well as the urgency of the current moment is the recently passed Nation State Law. Through this basic law, the Israeli state has officially rejected Arabic as an official state language. It has described settlement expansion both inside and outside of the Green Line as a national value, and it has reinforced the fact that Israel is not a state of all of its citizens. As an American, I am embarrassed that my tax dollars contribute to this reality. I am frustrated that no American president since the start of the occupation has taken a principled and actionable position in defense of Palestinian rights. And I am saddened, though not surprised, that President Trump’s administration has further emboldened Israel’s behavior through its recent actions. In May of this year, President Trump officially moved the US embassy to Jerusalem, which he recognized as the undivided capital of Israel. This choice not only flew in the face of international law and precedent, but also constituted a powerful provocation and a diplomatic deathblow. In late August, President Trump then permanently reneged on America’s commitment to funding UNRWA [the United Nations Relief and Works Agency for Palestine Refugees in the Near East], a move that now leaves millions of Palestinian refugees in medical, economic, and educational peril. Moreover, the move serves as a political strong-arm tactic, whereby the United States is unilaterally attempting to resolve, through the Trump administration, the final status of Palestinian refugees. While President Trump’s policies have been the most dramatic, it is important that I stress to you, to reiterate to you, that they are not wildly out of step with American policy. Cuts to UNRWA is an idea that has been raised in Washington for years, dating back at least to the George W. Bush administration. President Trump’s decision to move the US embassy in Israel from Tel Aviv to Jerusalem caused enormous controversy, but he was merely implementing a bipartisan law Congress passed in 1995. And in so doing, he executed what has already been official United States policy and fulfilled a promise made by every United States president and presidential candidate, Democrat and Republican, for a very long time. As I mentioned at the beginning of my remarks, the words offered today by everyone in this room are a necessary component of our resistance efforts. We need powerful, counterintuitive, dangerous, and courageous words. But we must also offer more than just words. Words will not stop the village of Khan al-Ahmar, with its makeshift schools created by local Bedouin villagers, from being demolished in violation of the Fourth Geneva Convention. Words will not stop poets like Dareen Tatour from being caged in Israeli jails for having the audacity to speak the truth about the conditions of struggle on her own personal Facebook page. Words will not stop peaceful protesters in Gaza from being killed as they fight for freedom against Israel’s still-undeclared borders. Regarding the question of Palestine, beyond words, we must ask the question: what does justice require? To truly engage in acts of solidarity, we must make our words flesh. Our solidarity must be more than a noun. Our solidarity must become a verb. As a black American, my understanding of action, and solidarity action, is rooted in our own tradition of struggle. As black Americans resisted slavery, as well as Jim Crow laws that transformed us from a slave state to an apartheid state, we did so through multiple tactics and strategies. It is this array of tactics that I appeal to as I advocate for concrete action from all of us in this room. Solidarity from the international community demands that we embrace boycott, divestment, and sanctions as a critical means by which to hold Israel accountable for its treatment of Palestinian people. This movement, which emerged out of the overwhelming majority of Palestinian civil society, offers a nonviolent means by which to demand a return to the pre-1967 borders, full rights for Palestinians citizens, and the right of return as dictated by international law. Solidarity demands that we no longer allow politicians or political parties to remain silent on the question of Palestine. We can no longer, in particular, allow the political left to remain radical or even progressive on every issue — from the environment to war to the economy — except for Palestine. Contrary to Western mythology, black resistance to American apartheid did not come purely through Gandhian nonviolence. Rather, slave revolts and self-defense and tactics otherwise divergent from Dr King or Mahatma Gandhi were equally important to preserving safety and attaining freedom. If we’re to operate in true solidarity with the Palestinian people, we must allow the same range of opportunity and political possibility. If we are standing in solidarity with the Palestinian people, we must recognize the right of an occupied people to defend itself. We must prioritize peace. But we must not romanticize or fetishize it. We must advocate and promote nonviolence at every opportunity, but we cannot endorse a narrow politics of respectability that shames Palestinians for resisting, for refusing to do nothing in the face of state violence and ethnic cleansing. At the current moment, there is little reason for optimism. Optimism, of course, is the belief that good will inevitably prevail over evil, that justice will inevitably win out. In the course of human history — and certainly, even in the course of the United Nations — there is no evidence of such a proposition. Optimism is unsophisticated. Optimism is immature. Optimism is what my students have when they take examinations that they did not study for. Some become quite religious at that time. But regardless of their strategies of optimism, the outcome is far from guaranteed or even likely. What I’m challenging us to do, in the spirit of solidarity, is not to embrace optimism but to embrace radical hope. Radical hope is a belief that despite the odds, despite the considerable measures against justice and peace, despite the legacy of hatred and imperialism and white supremacy and patriarchy and homophobia, despite these systems of power that have normalized settler colonialism, despite these structures, we can still win. We can still prevail. One motivation for my hope in the liberation and ultimate self-determination of the Palestinian people comes in August of 2014. Black Americans were in Ferguson, Missouri, in the Midwest of the United States, protesting the death of a young man named Michael Brown, an unarmed African-American male who had been killed by a law enforcement agent. And as we protested, I saw two things that provided hope for the Palestinian struggle. One was that for the first time in my entire life of activism, I saw a sea of Palestinian people. I saw a sea of Palestinian flags in the crowd saying that we must form a solidarity project. We must struggle together in order to resist, because state violence in the United States and state violence in Brazil and state violence in Syria and state violence in Egypt and state violence in South Africa and state violence in Palestine are all of the same sort. And we finally understood that we must work together and not turn on each other, but instead turn to each other. And later that night when the police began to tear gas us, Mariam Barghouti tweeted us from Ramallah. She, along with other Palestinian youth activists, told us that the tear gas that we were experiencing was only temporary. They gave us tips for how to wash our eyes out. They told us how to make gas masks out of T-shirts. They gave us permission to think and dream beyond our local conditions by giving us a transnational or a global solidarity project. And from those tweets and social media messages, we began then to organize together. We brought a delegation of black activists to Palestine, and we saw the connections between the police in New York City who are being trained by Israeli soldiers and the type of policing we were experiencing in New York City. We began to see relationships of resistance, and we began to build and struggle and organize together. That spirit of solidarity, a solidarity that is bound up not just in ideology but in action, is the way out. So as we stand here on the seventieth anniversary of the Universal Declaration of Human Rights and the tragic commemoration of the Nakba, we have an opportunity to not just offer solidarity in words but to commit to political action, grassroots action, local action, and international action that will give us what justice requires — and that is a free Palestine from the river to the sea. Thank you for your time. Marc Lamont Hill is an activist and Temple University professor. His latest book is Nobody: Casualties of America's War on the Vulnerable, from Ferguson to Flint and Beyond .